Mom - Vixen and Dad - Val proud parents of Thor and Hercules! Our newest arrivals - Thor and Hercules. 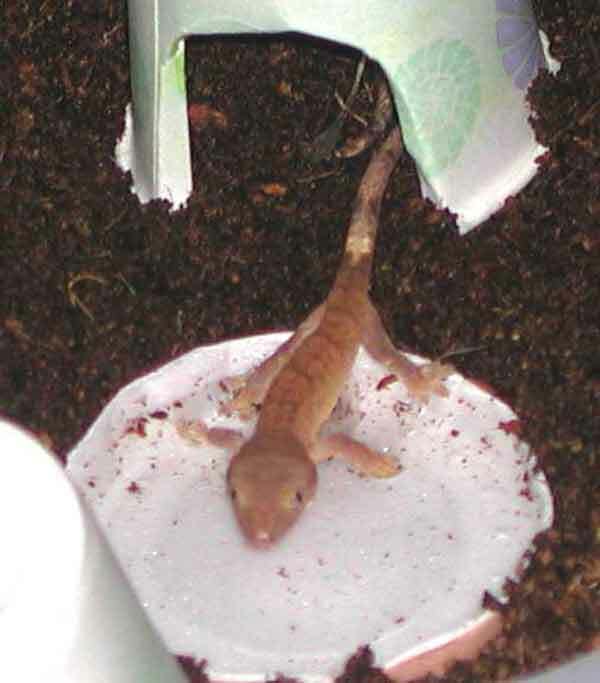 I am no expert, but if you like Geckos as much as I do, you will enjoy this site! 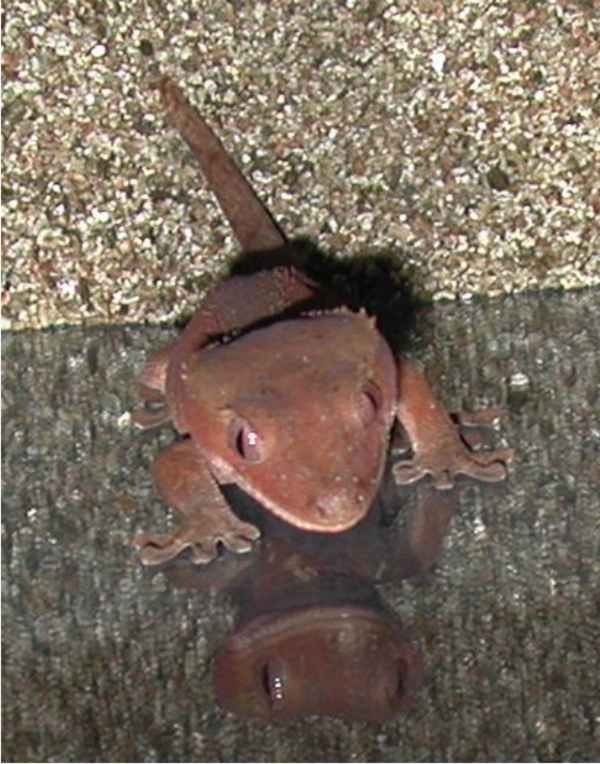 There are now three areas with photos of my reptile collection - an early set of Gecko photos and a more recent display of my Gecko friends as of May of 2001. I also have just added a photo album for Chameleons. 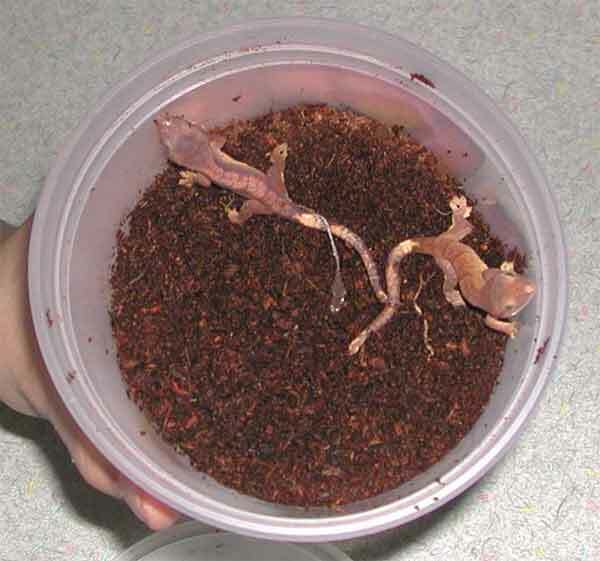 My newest additions on 2/17/02 were two Crested Geckos called Thor and Hercules. They are pictured above. Their parents (Mom, Vixen - above left, and Dad - Val above right are the proud parents! 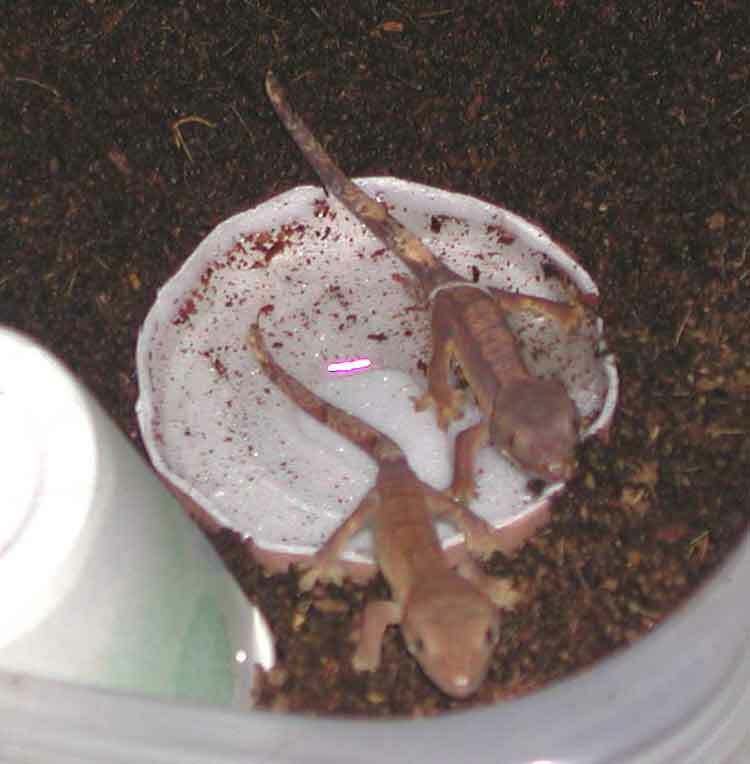 The rest of my Gecko collection currently consists of 17 of them. 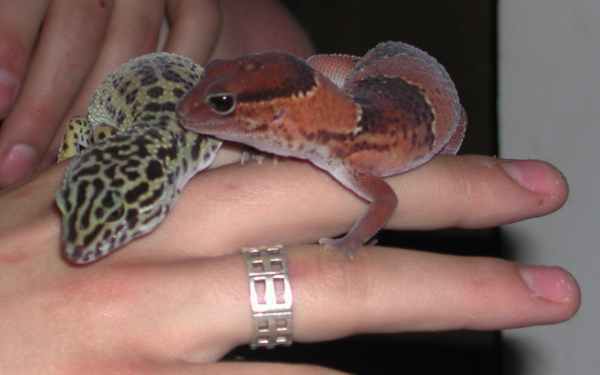 There are are eight Leopard Geckos; Vinny, Vlad, Vido, Venus, Vor and three hatchlings, Zeus, Poseidon and Aries. There is one Tokay, Vigo. I have two Fat Tails, Virgil and Morpheus. 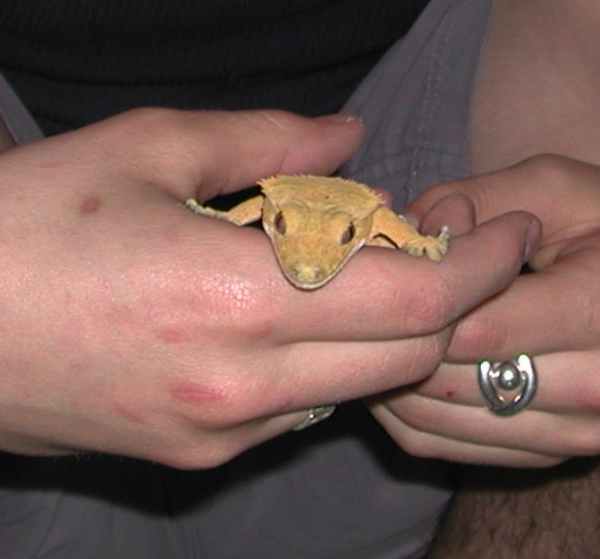 Unfortunately my other good friend Virgo is now in Gecko Heaven. The one Golden Gecko whose name is Apollo, three Crested Geckos, Vixen, Vernon and Val, one Crocodile Gecko whose name is Mick and a Mossy Leaf Tail named Neo. I recently got a Bearded Dragon and his name is Godzilla! My three other pets are Homey the Chinese Box Turtle who I have had for nine years, my Dalmation, TJ and my cat, Dolly. If you wish to contact me please send me an email by clicking this link.